After 4 weeks of inside renovations on our house, I am starting to see some normalcy in my daily life, including some sewing. I feel like my house has been shaken upside down, like a salt shaker, then turned back over, with everything needing to find it's place again. It's actually really great, I've literally gone through every closet, drawer, nook, cabinet, and all those small or large abyss places and de-junked. I've done A LOT of "letting go". We've re-textured walls and done lots of painting, but what really shocked me was how much changing door knobs and hinges updates your house. I'm a big promotor of the ABC organization method talked about in this post. I realized that recently becoming empty nesters, really does change how our home is organized. The items that not so long ago took priority in their place, no longer do. They've been moved from an A to a C in the ABC system. Am I making any sense? Anyways, I have a clean house. 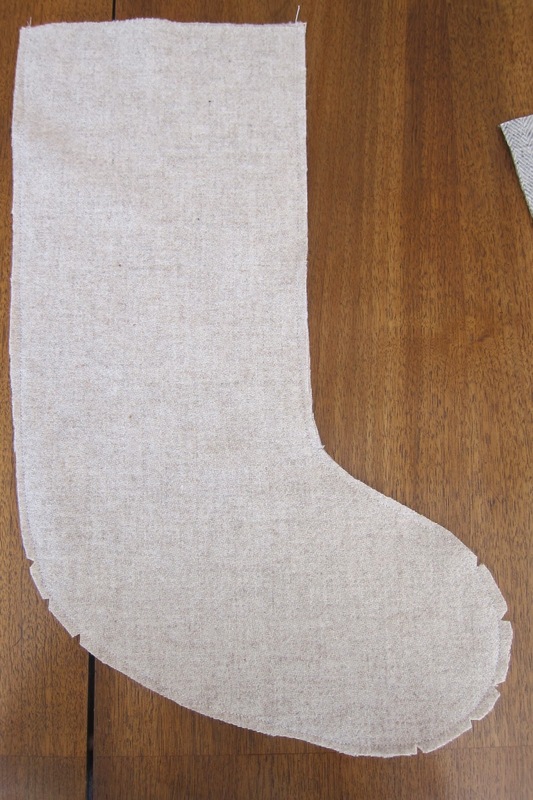 This week I'm working on Christmas stockings. I've never sewn with wool before, I think they'll turn out nice. I used a couple easy tutorials here and here for stockings with linings and cuffs. And look what I stumbled across at the quilt store the other day. Moda has reprinted this highly sought after yard stick print. It's darling on bindings, especially for children's quilts. If you want some, better get it fast, it's disappearing! I'm making another one of Carrie Nelson's quilts (Miss Rossie Quilts). They're so beautiful, but the pieces are smaller than my patience allows for. I've told this person it may take me a year to finish their quilt . . . I love your fabric choices for those blocks! And I'll have to check out your post on organizing - I could use some tips. I love your twirl blocks! I will be checking back to see the stockings. 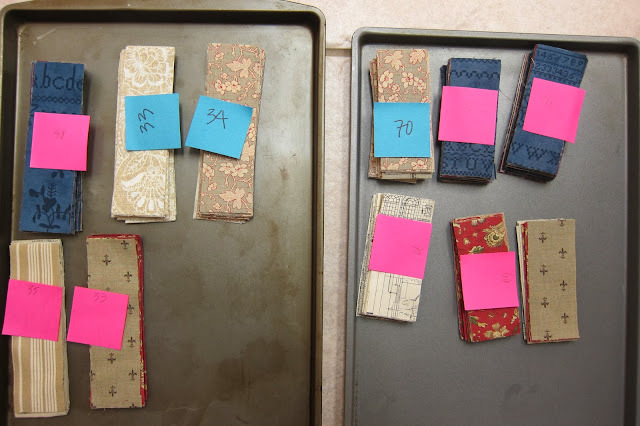 Darling blocks and great choices of fabrics. You have reminded me as many have been I need to start thinking Christmas. I loved your description of the renovation process. Everything shaken up and put back together with less stuff and As moved to Bs.. I think I will have check our your link. My house is need of a bit of updating too! It has only been recently that I have felt that having been quite content. My color preferences are changing. 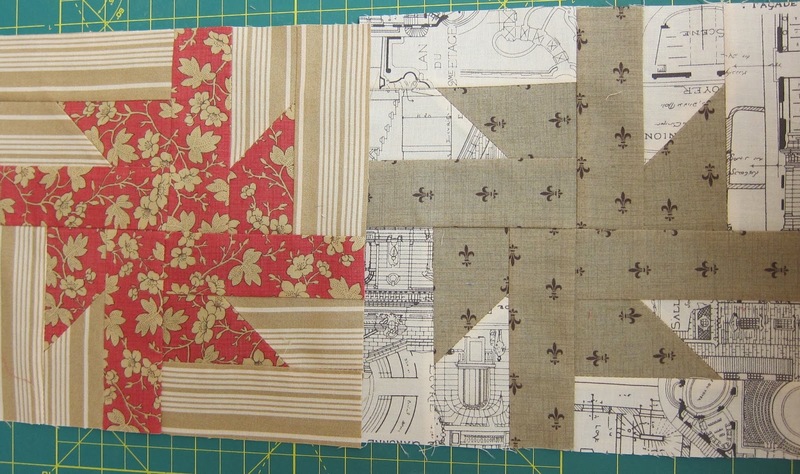 Wonderful blocks and fabrics.Go you will get it! Linda, you're an inspiration! I like your ABC organizing strategy--simple and effective.